A very nice detailed image. A stunning shot and wonderful detail, fav! 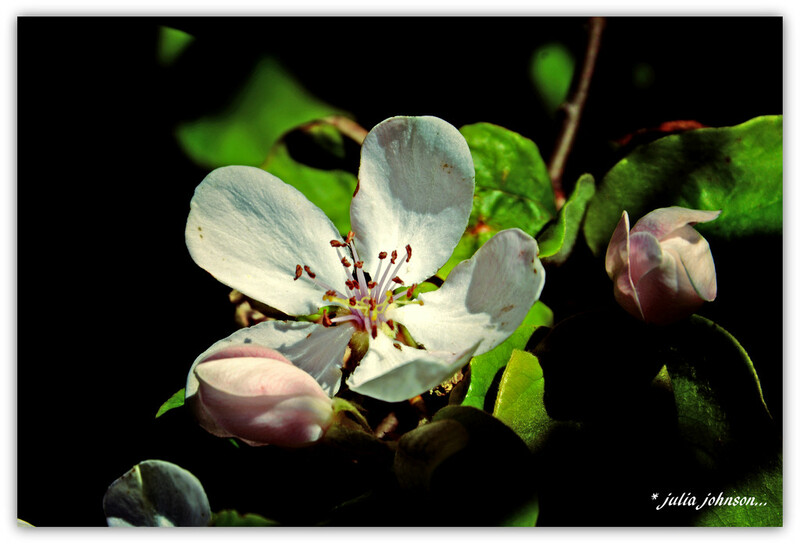 A lovely capture, the bloom is reminiscent of an apple blossom. So beautiful. Being on the other side of the world to you I have just removed the last of the quinces from our tree as we are now in late autumn. I am commenting on 365 to the wonderful smell of quince jam bubbling away on the stove! A beautiful blossom photo Julz. Love the black background it shows off al that pretty detail. This time of the year is so critical to our fruit supply. This is so pretty Julia. A beautiful shot with a great lighting.